My husband rarely requests specific food. He’s one of the most non-picky eaters I’ve ever met. That makes my life so much easier. Can you imagine two toddlers and one picky husband ? I can safely say that I’m not a picky eater either. Never was one since I was a kid. In fact I remember how my aunts often admired what a good eater I was. I was a chubby little girl 🙂 I loved to eat and still do (surprised?). 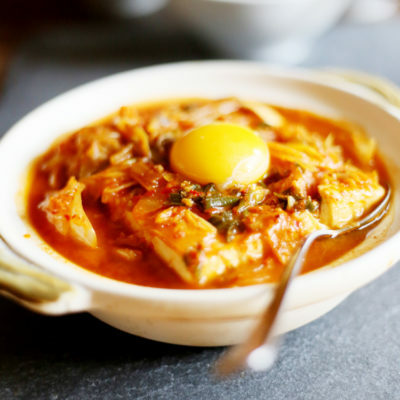 Okay, anyhow, speaking of request, dear husband started telling me about this Korean tofu stew or known as soondubu jjigae in Korean that he had before when he was on business trip. Apparently he enjoyed it enough to be making a request. I, on the other hand, is also another Korean food junkie. I love Korean food. 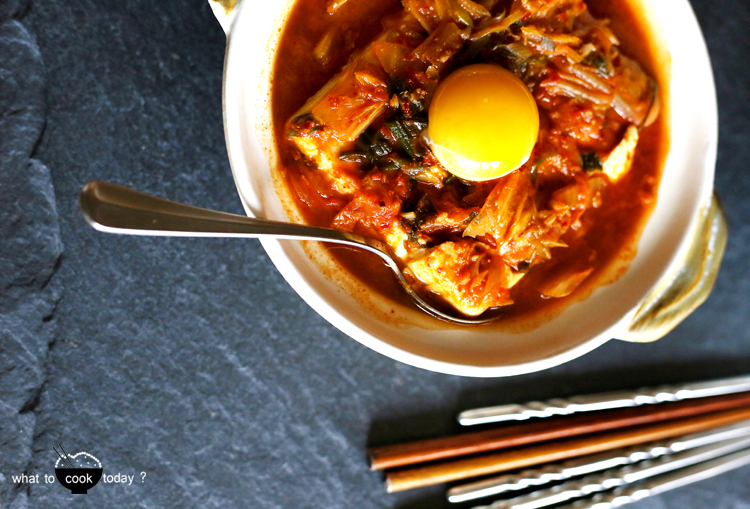 I took a peek at the fridge and to my delight, I have all the ingredients to whip up this Korean soft tofu with kimchi stew in no time. This is such a comfort stew, especially with this cooling down weather. 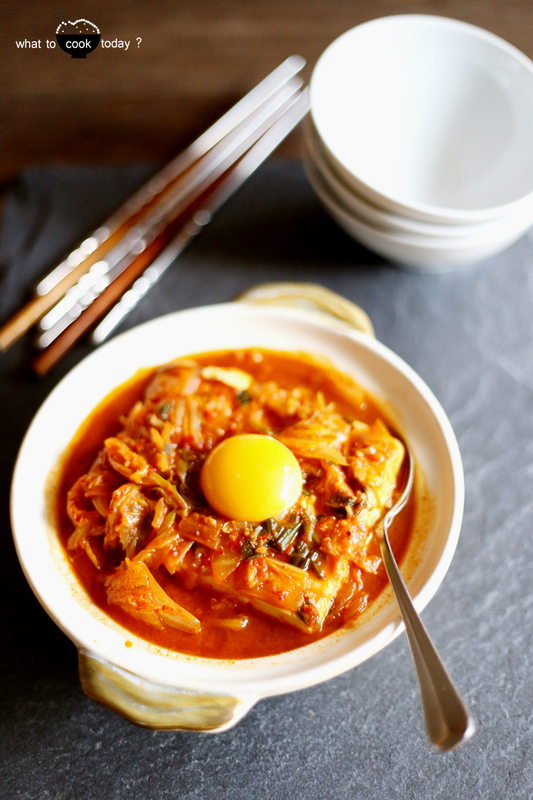 Soondubu jjigae is usually served pipping hot in an earthen ware. I guess, it’s the presentation that I really gets me. 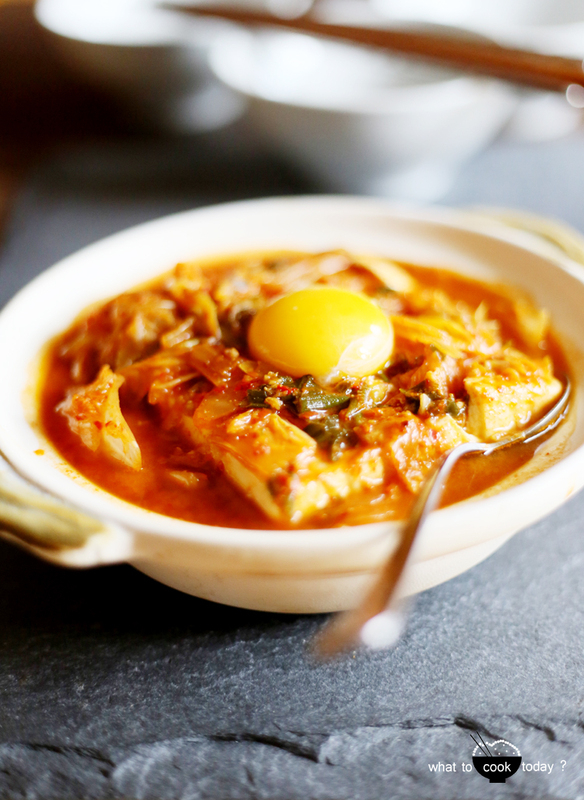 Still bubbling when being brought to you and I always have soft spots for chunky and reddish looking color stew 🙂 You can make thi soondubu jjigae as spicy as you want or not spicy at all.